Do you want to establish a culture of prayer in your home but you just don’t know how? The 30-Day Family Prayer Challenge will help you to demystify prayer, be encouraged as a parent, and learn creative tips to help you and your little ones become spiritual giants over time. 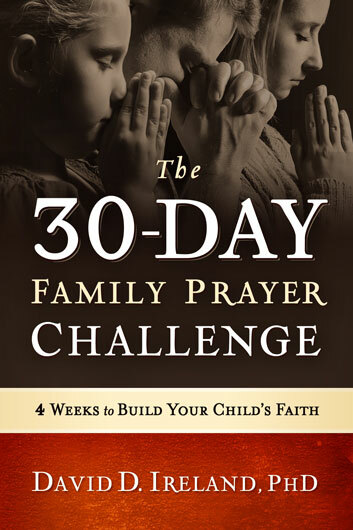 When you sign up you will receive the FREE e-book The 30-Day Family Prayer Challenge to get you started followed by weekly teachings, videos, and specific family prayer missions from Dr. David Ireland. This is a special challenge to pass along the secrets of prayer to your little ones, encourage them into a consistent prayer life, and experience something that will change your family forever.